Phew, it's been windy lately in Chicago, can you tell? After living my whole life in the area I really shouldn't still be surprised. I actually used to check weather.com to see the wind speed for the day, and wouldn't wear skirts if it was above a certain speed (smart). For some reason I don't do that anymore (not smart), which has led to a few Marilyn Monroe moments. I bought this sweater back in March and then kind of forgot about it. 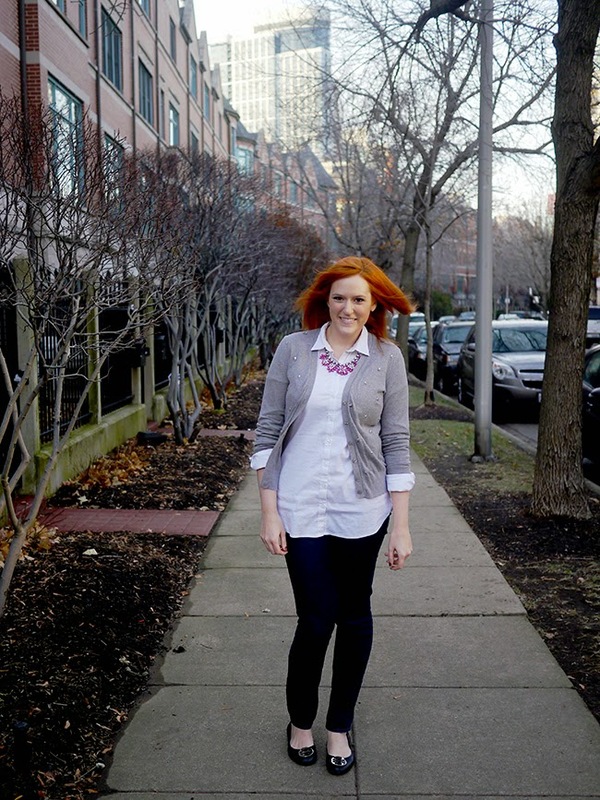 I love the way it elevates a simple button down/cardi combo into a more special look. Of course, the sparkley neon necklace doesn't hurt either. Linking up with What I Wore to Work, Style Me Wednesday, Style Sessions, Trend Spin Linkup and Stylish Tuesday. 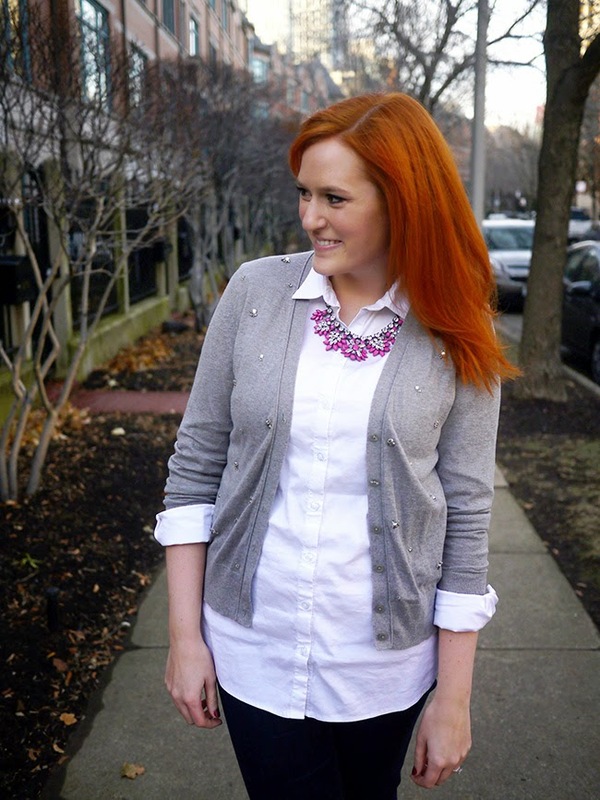 The embellishment on your cardigan is so pretty, and I love the fun dose of color your necklace adds! Thanks Rachel! I'll check it out. Gorgeous look! Love the necklace and the cardigan. 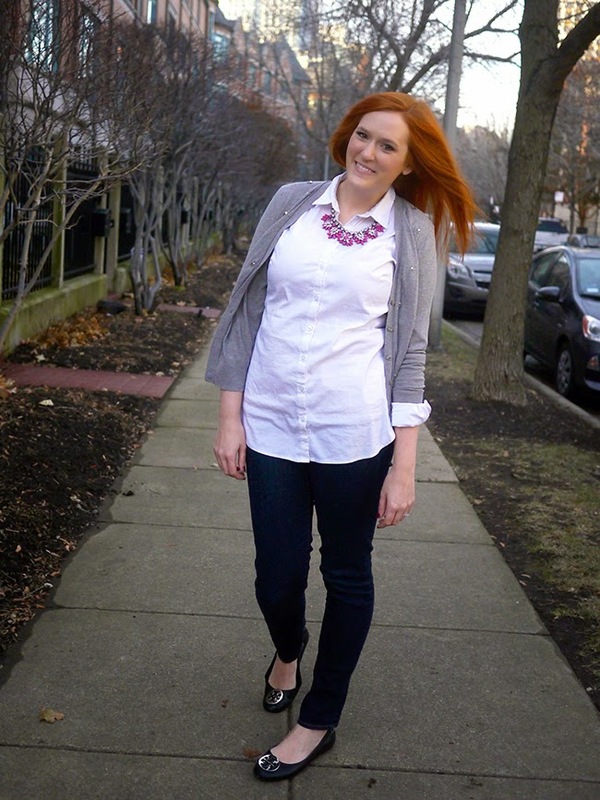 I would totally wear this :) following you on GFC and Bloglovin now, your blog is amazing!